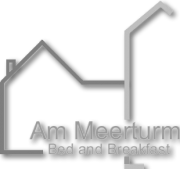 Get in Touch - De website van ammeerturm! B&B Am Meerturm offers plenty of free parking. Would you like to store a bike? We have a fenced area for bikes that is locked. Please bare in mind that the bike storage has no roof and does not protect your bike for the rain.